J.C. Vaughn, Ernest Ikoli, H.O. Davies, and Samuel Akinsanya founded the Nigerian Youth Movement (NYM) in 1934. Although based in Lagos, the NYM was the first Nigerian nationalist organization to promote politics outside of the capital. Furthermore, the NYM was also the first organization to stress national unity over racial divisions, notably between the Igbo and Yoruba ethnic groups. In 1934 the British colonial government created Yaba Higher College in order to train more Nigerian technicians. The college suffered for being a native Nigerian institution, having no affiliation with any British university. According to the educated elite at the time, any college based in Africa was inherently inferior. Additionally Yaba offered no courses on either public administration or economics, which were prerequisites for colonial administrative positions. The Lagos Youth Movement, renamed the NYM in 1936, was created in protest of these inherently inferior educational opportunities. The NYM would outline its now broader fundamental mission in its 1938 Nigerian Youth Charter. According to its charter, the primary aim of the NYM was the development of a united nation out of the conglomeration of peoples who inhabited Nigeria, and the promotion of complete understanding along with a sense of common nationalism among different elements in the country. Politically the NYM sought to increase the native Nigerian participation in civil service and government with the ultimate goal of self-government. Furthermore the NYM established branches in urban areas throughout Nigeria in an attempt to promote inter-tribal cooperation. The two most influential leaders of the early years of the NYM were H.O. Davies, one of the founders, and Nnamdi Azikiwe. Davies had lived abroad for several years and studied economics at the London School of Economics. 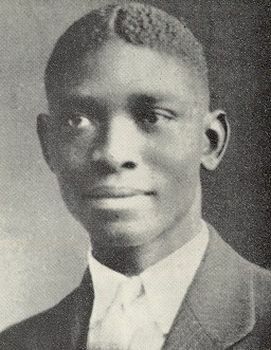 Azikiwe had studied at Lincoln University (B.A. and M.A. in Political Science), the University of Pennsylvania (M.A. and M.Sc. in Anthropology), and Columbia University (certificate in Journalism) all in the United States. In addition to English Azikiwe spoke Hausa, Igbo and Yoruba, the three major languages of Nigeria. Although founded on the basis of equal racial participation, the demise of the NYM eventually came from a combination of ethnic tension and political infighting. Personal conflicts between Azikiwe, an Igbo nationalist, and the other members of the NYU, which as a whole was an increasingly Yoruba organization, were perceived by many to be signs of growing ethnic tensions. Eventually Azikiwe would leave the organization in protest to what believed were discriminatory policies against him and the Igbos. From then on the NYU was mainly a Yoruba organization that had evolved into the type of ethnically-based party it was founded to prevent. In April 1951 the NYU was absorbed by two other Yoruba political parties and ceased to be a force in Nigerian politics. While the NYM’s time on the Nigerian political scene was brief, its goal of unifying the stark regional, ethnic and religious divides in the Nigerian colony was an ambitious solution to a dilemma that remained unsolved even after independence in 1960. Richard L. Sklar, Nigerian Political Parties: Power in an Emergent African Nation (Trenton: African World Press, 2004); Quintard Taylor, "Contentious Legacy: The Nigerian Youth Movement and the Rise of Ethnic Politics, 1934-1951," in C.S. Momah and Hakeem Harunah, eds., Nigerian Studies in Religious Tolerance, Volume III, Ethnicity, Religion and Nation-Building (Lagos: University of Lagos Press, 1995).